•Plush, premium quality, 17mm pile height twin-face sheepskin wiith both sides processed to the highest standards. 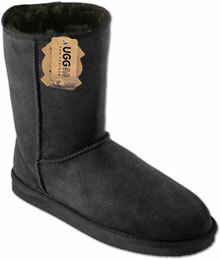 Supple suede leather on the outside and cosy fleece on the inside provides cushioning and insulation. •Your old insoles can easily be replaced with a plush new pair of Sheepskin Inner Soles. •Moulded heel cup. 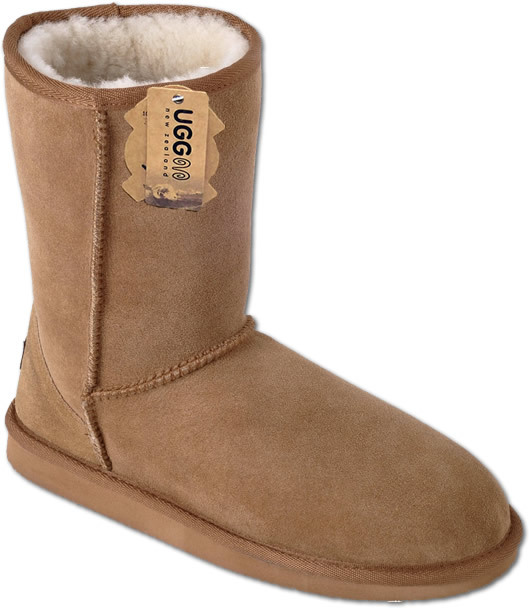 •The sheepskin is reinforced with cowhide at heel to add strength and hold shape. •The tough EVA sole gives excellent traction and durability and is suitable for both indoor and outdoor use. •A mid calf height boot. If you are unsure of what size to order the easiest way is to measure your foot accurately from the tip of your longest toe to the back edge of your heel in centimetres. From your centimetre foot length scroll along the table to find the correct size that you should be ordering. It is recommended that as 1/2 sizes are not available, order one size up to the next available shoe size. 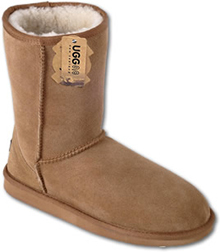 Note that it is quite normal for sheepskin footwear to be tight fitting when they are new. After a little wear the wool will begin to matt down into the shape of your foot and and the fitting will loosen.